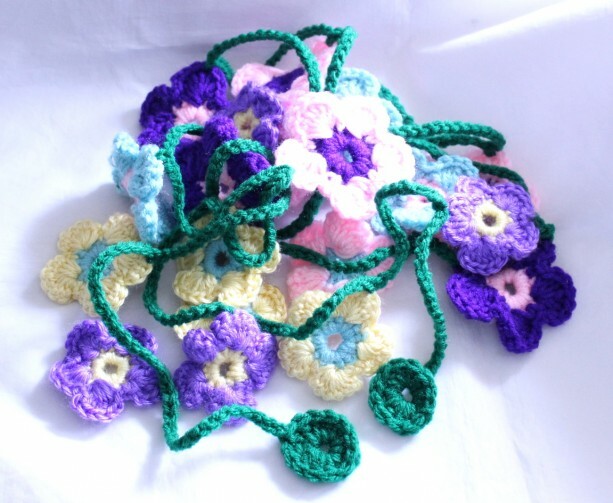 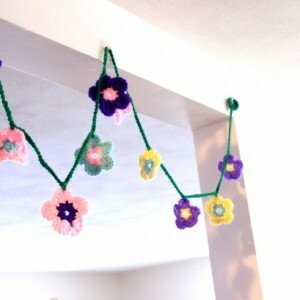 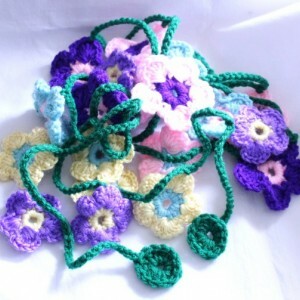 This flower garland in Spring colors will brighten up any room. 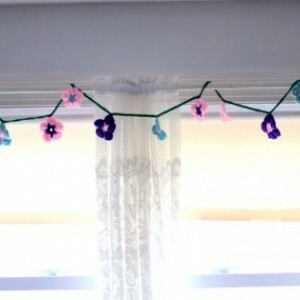 Drape it from a curtain rod, attach it to a wall, or wind it around a headboard. 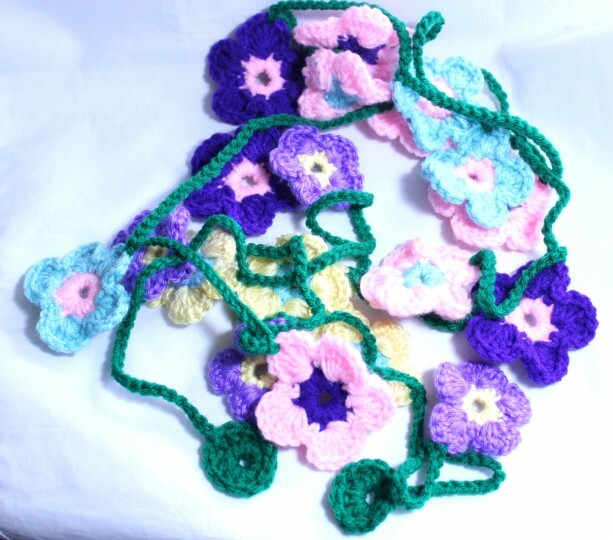 Hand crocheted from acrylic yarn, this Spring inspired garland features 5 petal crocheted flowers in pink, yellow, purple and blue. 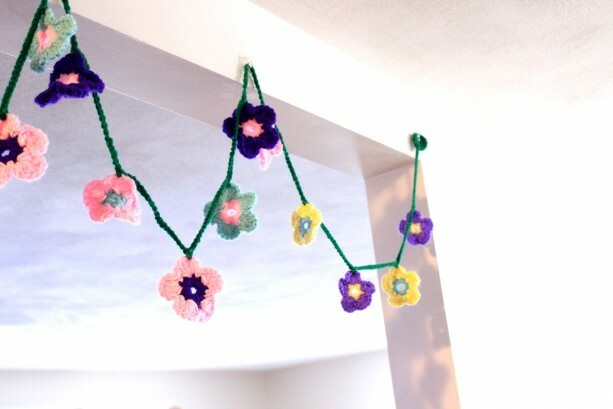 Perfect for your little girl's bedroom. 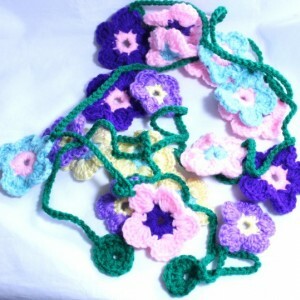 The garland is approximately 9 feet long which allows ample length to wind it or drape it around a number of things. 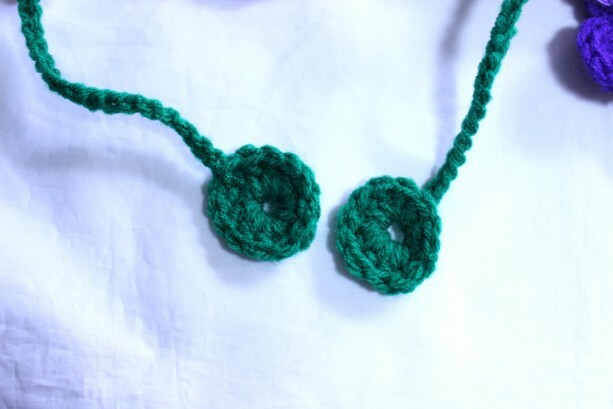 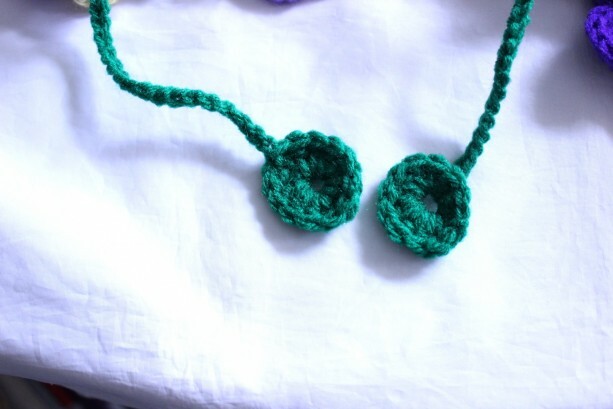 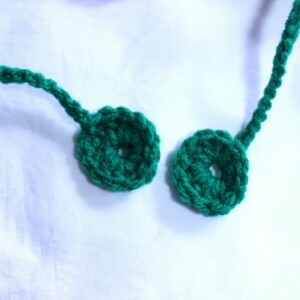 Each end has a crocheted circle for hanging.